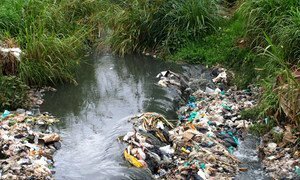 According to the UN’s climate agency, UN environment (UNEP), more than eight million tons of plastic ends up in the ocean annually; that’s equal to dumping one garbage truck of plastic per minute, at a cost of around $8 billion, in damage to marine ecosystems. 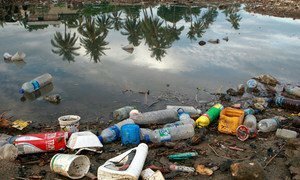 The Assembly President said the campaign is comprised of two elements: global advocacy, and internal initiatives to reduce plastics use within the UN. This is not the first time the UN has put the scourge of alarming plastic debris at the head of its priorities. In 2010 the “Greening the Blue” campaign was launched to raise awareness of the importance of sustainability throughout the UN system and encourage staff members to reduce, reuse and recycle. During this year’s high-level week of the General Assembly, UNEP launched the Global Plastics Platform, a network to foster commitments to reduce plastic pollution by exploring innovative designs, and methods of consumption and disposal of plastics around the world. Last year, the agency headed up the Clean Seas campaign to urge a ban on single-use plastic, after findings revealed there were 500 times more microplastic particles littering the ocean, than there are stars in the galaxy. Ms. Espinosa has previously pledged her commitment to the issue; specifying the environment and a ban on plastics among the seven top priorities on her agenda as Assembly President. Norway’s Deputy Permanent Representative at the United Nations, Ms Mari Skåre, affirmed: “We are strong supporters of the initiative and the reason is that we have a problem with plastic pollution. Norway knows this. We know it is a health problem for the oceans and for humans. Fish eat plastic, humans eat fish", she said. Marking World Habitat Day on Monday, UN-Habitat – the agency mandated with promoting sustainable cities – has called for greater imagination and innovation in tackling the world’s waste management challenges, in particular at the municipal level.